Jillian Pransky is a Yoga Alliance Master Certified Yoga Teacher, leading one of the best Yoga Teacher Trainings in the region. She leads restorative yoga teacher trainings, and yoga therapeutics teacher trainings. Jillian Pransky is a Certified Yoga Therapist recognized by the International Association of Yoga Therapy. She is specialist in the fields of restorative yoga and yoga therapeutics and a knowledgeable, engaging, and compassionate teacher. Her trainings offer a practical path for deepening personal and professional interests in the healing aspects of yoga. In an experiential setting, participants learn, explore, and practice through a harmonizing lens that weaves together the fields of yoga, Ayurveda, and mindfulness to create a dynamic approach to guiding yourself and others toward greater health and wholeness. Each training focuses on the development of practical skills as well as strong assessment capabilities. Trainees learn clear guidelines and protocol while gaining a frame of reference for the work and an abundance of healing tools and techniques for addressing specific conditions and situations. Beyond simply ‘knowing what to do,’ trainees learn to cultivate a deep sensitivity for tuning into the subtle energetic field of their students, clients, or patients. 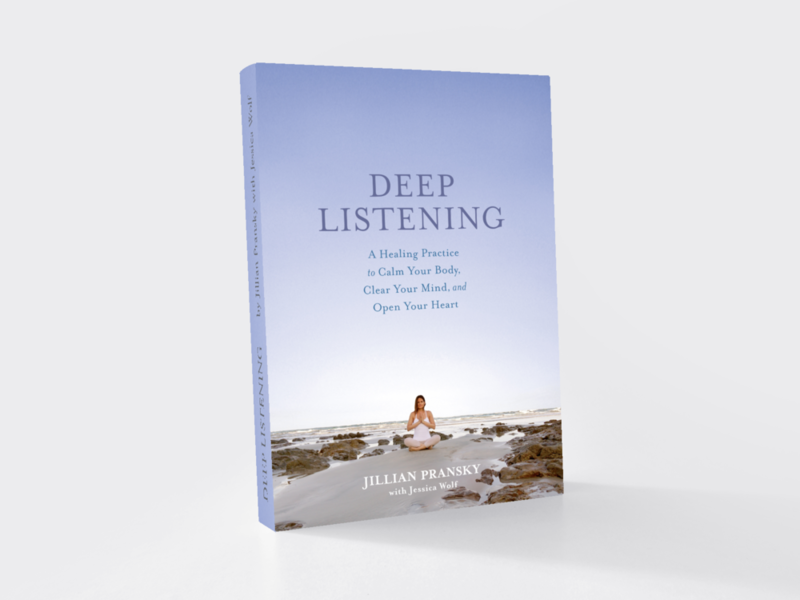 Jillian’s trainings are designed for new and experienced yoga teachers as well as health professionals, including doctors, nurses, psychotherapists, occupational therapists, social workers, mental-health professionals, counselors, body workers, mind-body fitness instructors, health coaches, and others working in healing, helping, and teaching professions. Those with a deep personal interest in incorporating restorative yoga and yoga therapeutics into their own practice are welcome and are encouraged to consider beginning with Foundations of Restorative Yoga. Note: Jillian is Registered with the Yoga Alliance as a ERYT-500 teacher and is a Certified Yoga Therapist with the International Association of Yoga Therapy. The yoga therapy components of Jillian's teaching and trainings are based on her extensive training, study, and personal experience of many healing modalities, including alignment-based yoga, yoga for chronic illness and anxiety, restorative therapeutic yoga, somatic movement therapy, thai yoga massage, physical therapy, healing touch, energy work, therapeutic yoga for injuries, and her own illnesses and injury. Yoga Alliance Therapy Disclaimer: These techniques are not derived from her status as an ERYT-500 with Yoga Alliance Registry. Designed to help you discover the healing power of yoga. Workshops offered in several formats and locations throughout the year. Recommended for everyone with personal or professional interest in Restorative Yoga and deep relaxation. Designed to deepen your understanding of yoga and healing. A two part training that can be taken together or as individual modules. Recommended especially for those who work in the health, yoga, and healing profession. Marks the completion of a combination of 40 hours of Restorative Yoga training and 60 hours of Yoga Therapeutics. Recommended for those wanting to advance their career as a healing professional; create or expand their career path. These shorter programs are designed to advance your practice and teaching skills. Yoga Alliance Therapy Disclaimer: The yoga therapy components of Jillian's teaching and trainings are based on her extensive training, study, and personal experience of many healing modalities, including alignment-based yoga, yoga for chronic illness and anxiety, restorative therapeutic yoga, somatic movement therapy, thai yoga massage, physical therapy, healing touch, energy work, therapeutic yoga for injuries, and her own illnesses and injury. These techniques are not derived from her status as an ERYT-500 with Yoga Alliance Registry.